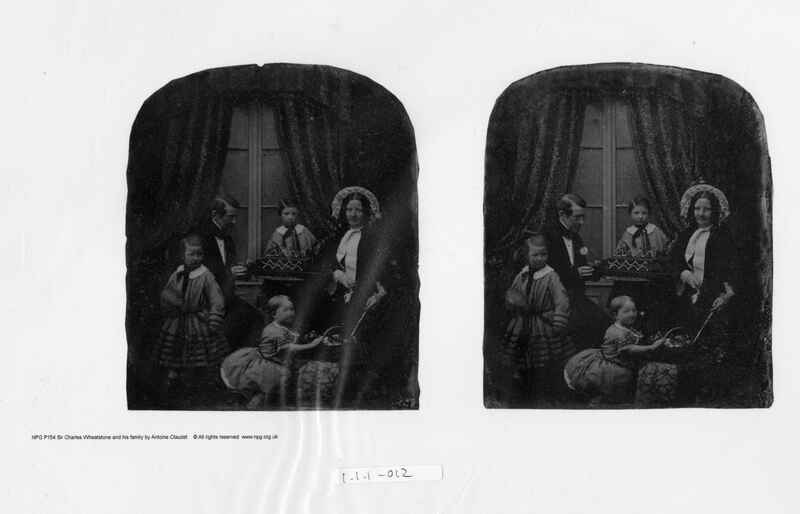 Full Description: An official National Portrait Gallery facsimile of the stereograph of Sir Charles Wheatstone and family, (by Antoine Claude), and including his then youngest daughter Florence who seems to be under 2 years old in this image (see her embroidered sampler, Item 1.1.1-018). . Charles is seated at a waveform apparatus, with elder daughter and son Charles Pablo also present: he was to father two further children.